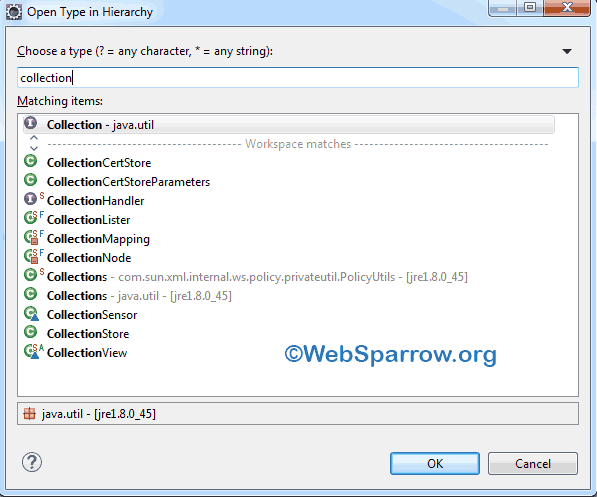 In Eclipse IDE, you can easily search the Java, JSP and another resource file. To find any file in just type CTRL + SHIFT + T, it will prompt an Open Type dialog box to find any Java classes. 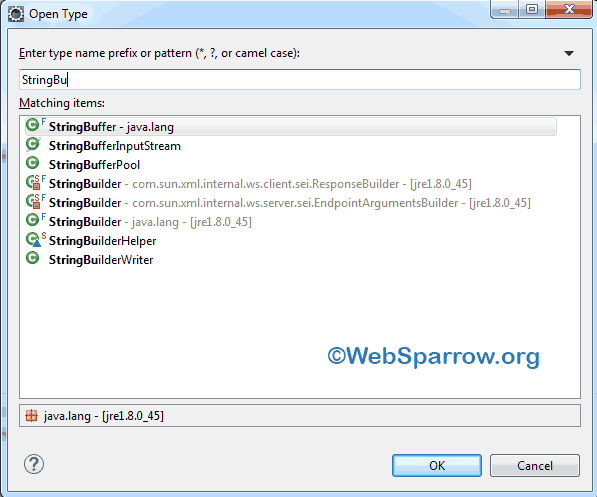 Let’s assume, you want to search StringBuffer class of java.lang package, simply type StringBuff in the dialog box. 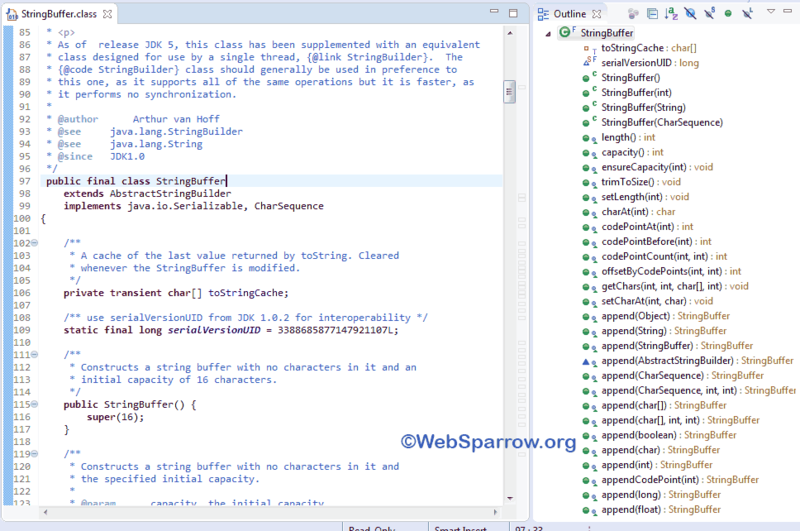 Click on the class, Eclipse IDE will open that class for you. 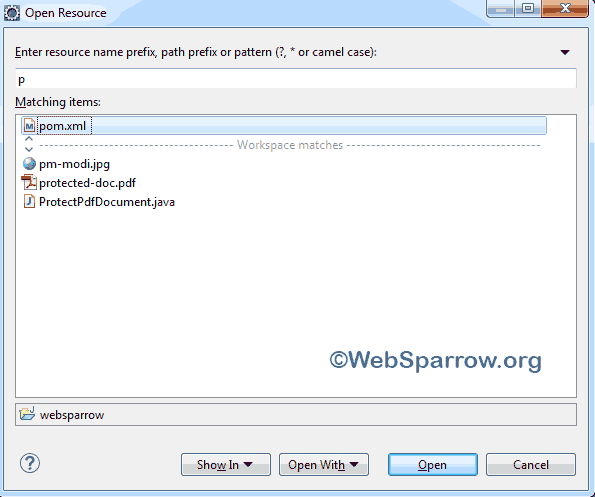 To search JSP file or any other resources, press CTRL + SHIFT + R together, it will prompt an Open Resource dialog box to find any resources like JSP file, PDF, XML, etc from your workspace location. For example, if you want to open the pom.xml file, just type it in the search box. In my case, I don’t have any JSP file. Type CTRL + SHIFT + H to open the hierarchy of any Java classes. Suppose, you want to check the hierarchy of Collection interface. Type collection in the search box. 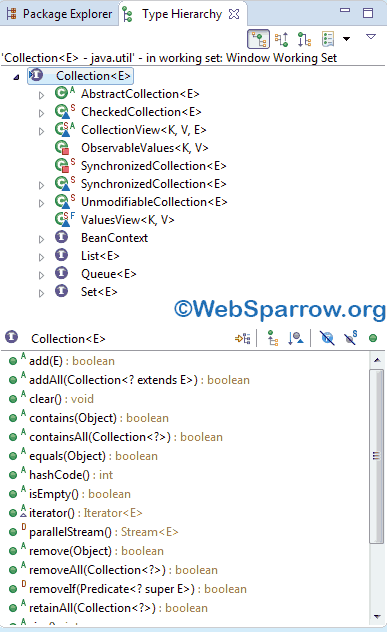 Eclipse IDE will open the hierarchy of Collection interface in Type Hierarchy tab.